Home Customizing Create a Customer Service Schedule for SLA’s in Dynamics CRM 6 people are discussing this now. 1. Go to Settings à Service Management. 2. On this page, find “Customer Service Schedule” under the Service Terms section. 3. There will be a view of all of the Customer Service Calendars. To create a new one, go to the command bar and select “New“. 4. A popup will show up. This is where you add the name of the Customer Service Schedule – the description field is optional. Once you are done filling in the information, select “Create“. 5. Once you have selected that, another popup will show up. This is where the weekly schedule is can be customized to your organization’s needs. Now you have successfully created a service schedule along with adding a holiday schedule. If your organization needs more than one service schedule, that can be done as well. Just simply repeat the steps from 3 – 6 to do so. 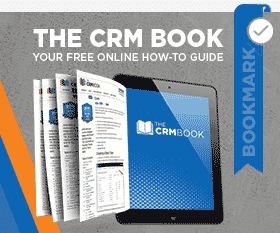 If you have any further questions surrounding Dynamics CRM, head over to our blog or read our CRM Book for all things Dynamics related!